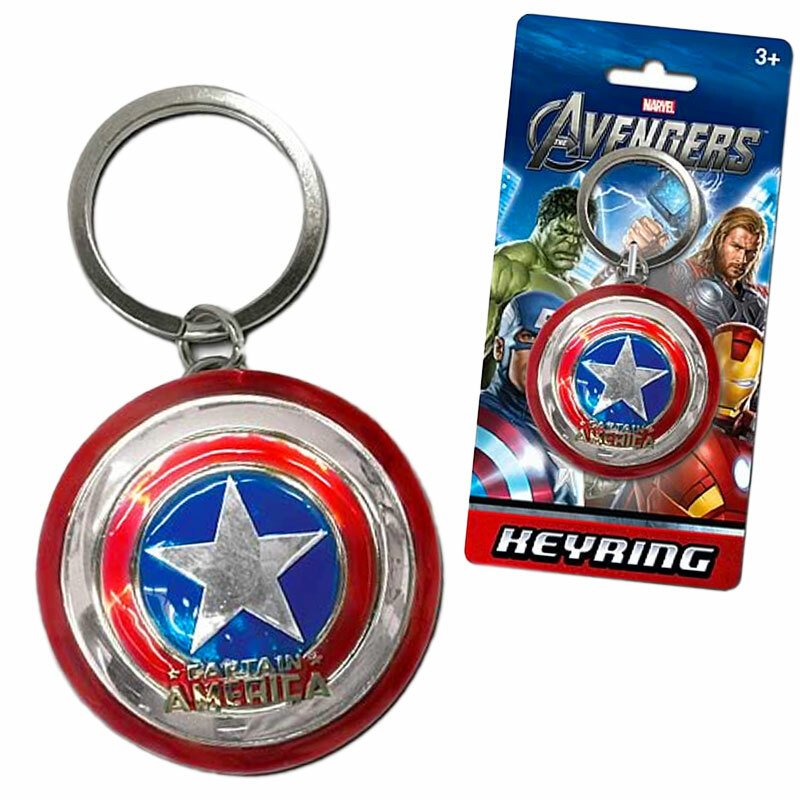 Captain America will defend you with honor, especially when he sees you sporting his signature Shield on your Keychain. The circle and star Shield is an awesome symbol of bravery, devotion, and power. You'll be a beacon of light for everyone with this Keychain, just like the Captain himself. You can hang it from your keys, backpack, purse, necklace, doorknobs, and anything else you can think of for exceptional Captain America support. Feature: - Approximate 2" diameter.